I had the opportunity to participate in the IB Category 1 Diploma Programme (Librarians) workshop that was held in UWCSEA East in Singapore from 21 to 23 August 2015. The facilitator was Dianne McKenzie, who is a library consultant and teacher trainer based in Hong Kong. 15 participants (from Singapore, Japan, China, Vietnam, Canada, UK, US etc) attended the librarian workshop. The workshop aims to develop strategies that support the diploma programme, with a key focus on the extended essay. The workshop started off with a discussion of objectives, which include definition of role of school librarian and development of strategies to support school librarian in the role. There was a wide range of group activities and presentations (eg. Design your perfect library, Persons that your group think best personify the qualities in IB mission statement, Application of IB learner profiles etc). A key point was the active participation as we discussed library’s role in IB standards and practices, academic honesty, approaches to learning and so on. The learning point that I had particularly found interesting is the connection between international mindedness and cultural intelligence. The novelist Chimamanda Adichie aptly told the story of how she found her authentic cultural voice in a TED presentation The danger of single story. There was also active discussion on perspectives on international mindedness from IB community members in the blog http://blogs.ibo.org/blog/2014/12/01/ten-perspectives-on-international-mindedness/. 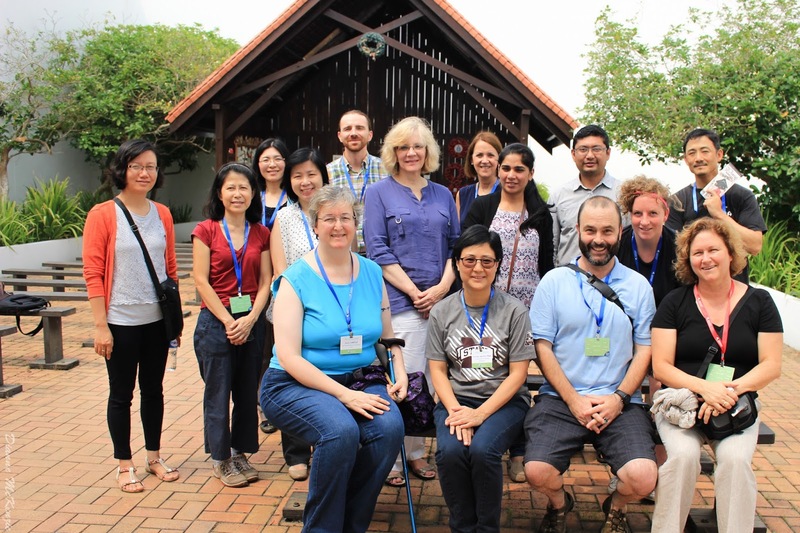 The workshop ended with an excursion to the Changi Museum, which was an opportunity for us to have a better understanding of the importance of international mindedness. I came away with a deeper appreciation of how library may apply to support international mindedness, learner profiles and information literacy from this engaging workshop.